Bribery: A Compliance Handbook is a practical guide to regulation in relation to corrupt practices. The book considers the safeguards and practical measures that organisations should put in place to prevent prosecution or regulatory action. 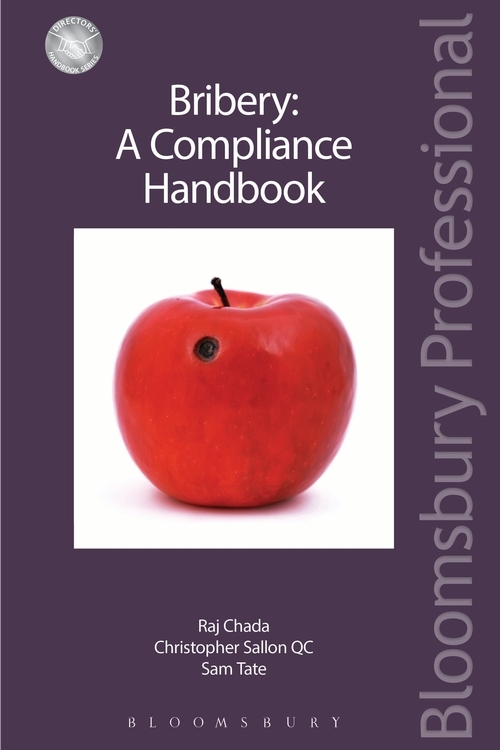 It is a compliance text focussing on the requisite measures to be put into place by company directors and compliance officers to avoid liability. This book is a reference point for those concerned with regulation of potentially corrupt activities. It covers the current bribery legislation in the UK and the domestic and international context within which it was enacted and reviews each of the principal offences and considers some case studies and issues that affect particular sectors. The emphasis of the book is on preventative matters rather than defending subsequent prosecutions and will appeal not just to lawyers, but to compliance officers, non executive directors and others who are required to be aware of the provisions. Bribery: A Compliance Handbook is essential reading for in-house and private practice lawyers advising clients in this area and for compliance officers or Board members, who post Bribery Act are ever more likely to be engaged with the difficult practical issues the new legislation gives rise to. Contents: 1 Introduction; 2 Global context including the FCPA; 3 Background the British bribery legislation; 4 Giving and taking of bribes; 5 Small bribes and facilitation payments; 6 Bribery of a foreign public official; 7 Failure of commercial organisations to prevent bribery; 8 Adequate procedures; 9 Internal company investigations; 10 Self-reporting; 11 Deferred prosecution agreements; 12 What to do if you are being investigated; 13 Corporate hospitality; Appendix 1 Small bribes management discussion; Appendix 2 Red flags; Appendix 3 Ministry of Justice Guidance on the Bribery Act 2010; Appendix 4 Sentencing Council Definitive Guideline on fraud, bribery and money laundering: corporate offenders; Appendix 5 Crime and Courts Act 2013 Schedule 17: Deferred prosecution agreements; Appendix 6 Criminal Procedure Rules Part 12: Deferred Prosecution Agreements; Appendix 7 Deferred Prosecution Agreements Code of Practice; Appendix 8 Transparency International Corruption Perception Index 2013.